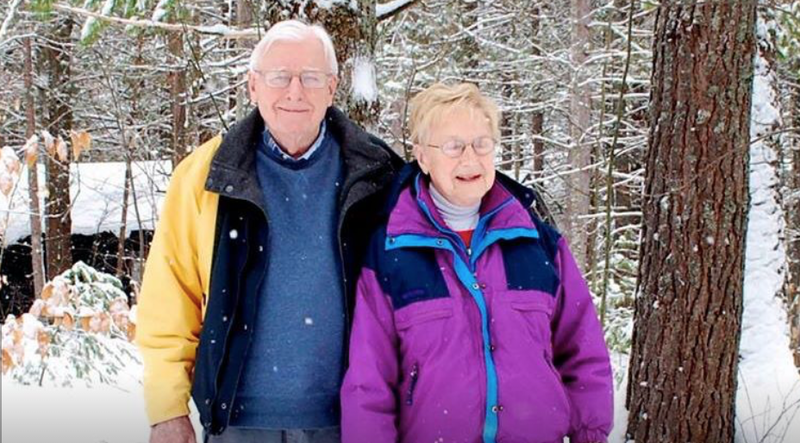 The Au Sable Institute never had a better friend than Mae Froysland. Her boundless energy, driving enthusiasm, and relentless determination to advance the Institute's work and constantly encourage those of us who were doing it will be missed, as we will miss saying of Mae's ability to accomplish almost anything for us, "Where there's a will there's a Mae!" But we have no grief for Mae herself. The transcendent, eternal quality of her remarkable life continues unabated and even more fully empowered, but now directly in God's presence. We rejoice in Mae's example and the surety of her reward in Christ's service. Mae’s full obituary is here. Bert and the family have asked that, in lieu of flowers, donations be made to the Institute. We are grateful to have played such a special role in Mae’s life. To make a donation, go to our Donate page and be sure to write “In Memory of Mae Froysland” in the special instructions section near the top of the check-out page. Thank you to those who have already done this. Older PostLook up and see!